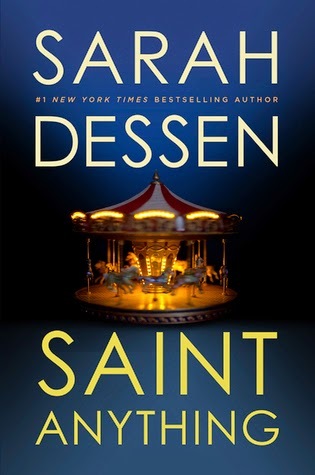 I firmly believe that Sarah Dessen should release a book every summer. While I know that that is unreasonable, her books just put me in the summer mood...even when they are set in other seasons...which doesn't happen often, but it happens. It just so happens that I read this gem on a Carolina beach in one day because that's just how I read Sarah Dessen. 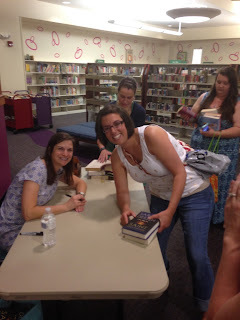 This is all coming around to the fact that I love Sarah Dessen, and after years of dreaming about one day meeting her, I have now met her twice. She is a joy. A kind, thoughtful, southern joy. Oddly, this story is not set at the beach. Which was okay. Instead there was a mysterious carousel hidden deep in the woods which is just as cool as a tiny beach town. Sydney is invisible. Or least she thinks she is compared to her older, charismatic brother who has a penchant for trouble. When his latest night of debauchery lands him in jail, Sydney decides to start fresh at a new school, far away from the legacy her brother left in his wake. And for the first time, Sydney discovers a family of friends who see her, and appreciate her, for exactly who she is. She is a strong, funny, intelligent girl who shines brighter than she ever though possible. To top off this wonderful story is the adorable pizza parlor that I now want to visit desperately. A pizza parlor where they only play bluegrass. Heaven I tell you, heaven. Sarah Dessen is a storyteller. Her books are sweet and complicated. Messy and hopefully. Heartwarming and heart wrenching. As well as she writes romances, it's the friendships she gets right. Here's to fierce female characters who aren't jealous or spiteful. They're just friends, loyal to the end and willing to lay in front of your bedroom door all through the night to make sure your brother's creepy friend from rehab doesn't try anything. There are girls who put themselves out there and boys who are perfect but are good and kind. The best thing about Sarah Dessen's supporting characters is all the subtle yet interesting quirks that make the book endlessly fascinating. 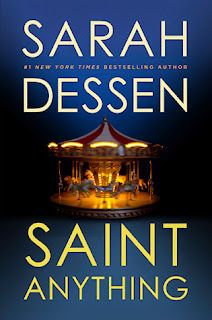 I love this book and I'm sure that fans of Sarah Dessen and those who've never read it will enjoy it.